Can you believe that 2015 is officially half over? Seems like the year just started, right? I don’t know about you, but it’s been a pretty good first six months for me. The inside of my house is slowly coming together and is getting that lived-in feel. The outside, specifically the backyard, definitely has a lot more going for it than when we moved in and it was just a blank slate of green grass. A couple raised beds, a crape myrtle shrub/tree and several containers and hanging plants later, it feels a lot more like a backyard I would want. 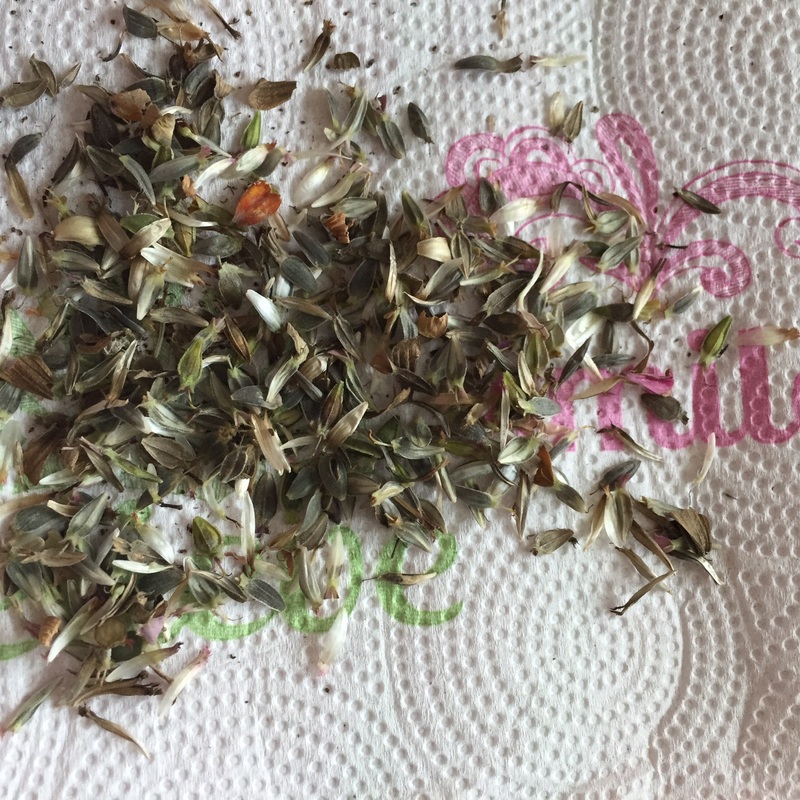 It seems I’ve been spending an hour or so each week harvesting flower seeds, and I gathered a bunch more tonight. 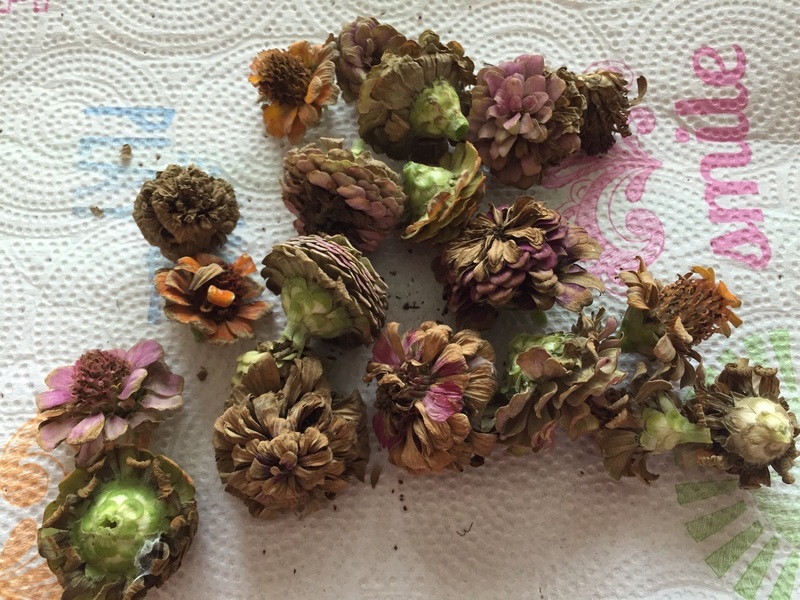 The last couple weeks I’ve primarily been picking spent zinnia heads and saving what I can from them in envelopes on our computer desk. I’m trying to make sure I have as many colors as possible, along with both the regular size and the mini-zinnis. It seems as if the pink zinnias are just more prolific than the other colors, though, so I’m guessing I’ll have harvested more pinks than other colors. Good thing they’re all so pretty! 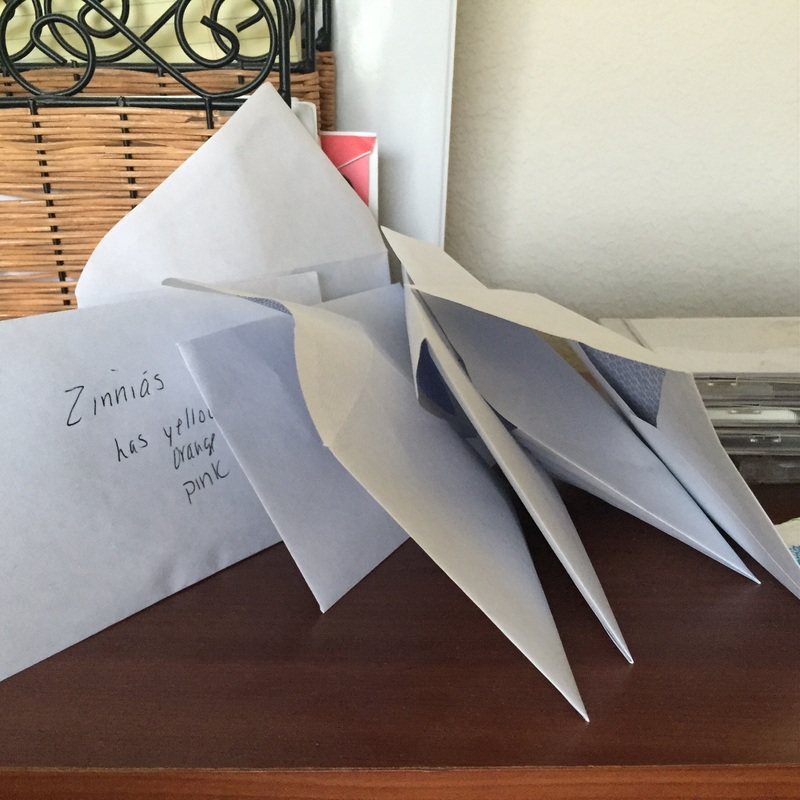 … Came this pile of zinnia seeds for replanting. And yes, I know that there’s a fair amount of shells and pieces of petals in the mix, but they’ll sift out as they dry out more. And I can’t wait to plant the seeds for what I hope is a fall crop of flowers!